I wrote last about how I don't fully understand the desire for winter sun. Whilst it's cold outside and the snow falls, I choose to embrace the elements and enjoy the festive season in what you might call a traditional manor - i.e. with the consumption of mulled cider and mince pies. I can appreciate that not everyone is inclined to think like myself though; the winter sun market is huge, come to think of it, so maybe I am in the minority. 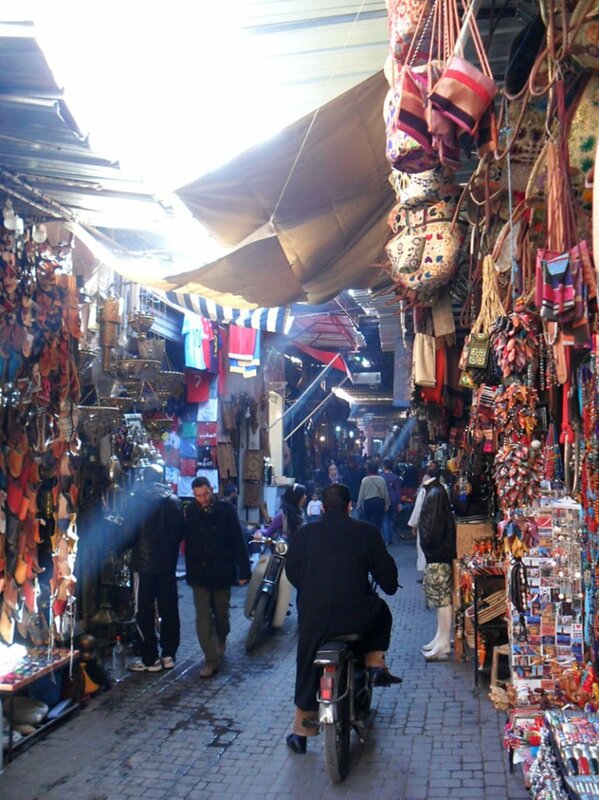 The souks are ideal for picking up an abundance of Christmas gifts at half the UK price. Plus once you're all shopped out there is the added benefit of treating yourself to a cup of mint tea back at your incredible riad. As a pale Brit I find that the sun is not always kind. In-between lapping on layers and layers of sun cream (and after-sun once said sun cream has failed to save me from that big ball of fire in the sky), I will when located within warmer climates seek out shade and hydration at regular intervals in an attempt to avoid burning flesh and dehydration. I am rarely successful in this pursuit. 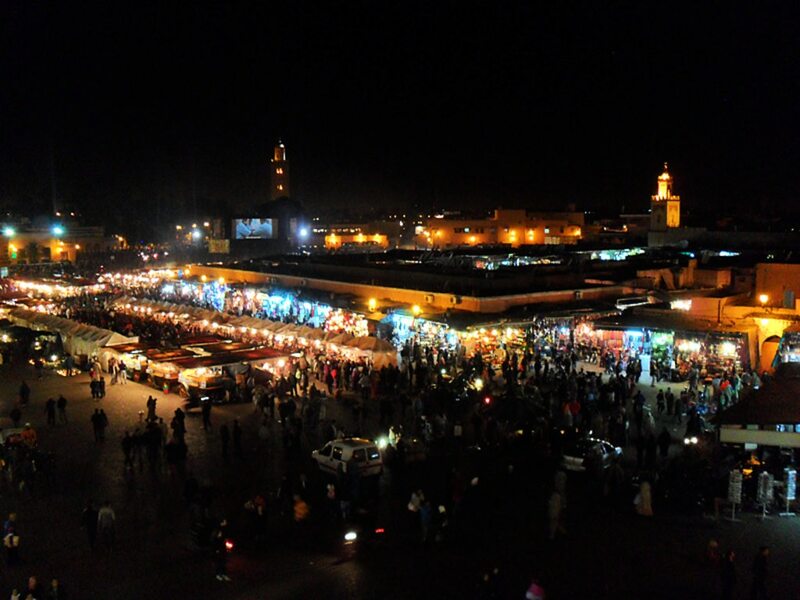 With temperatures hitting over 100F, I simply wouldn't survive a trip to the Marrakech in the summer months. The heat would ruin my trip; I wouldn't be able to relax and enjoy what the city has to offer. Temperatures of 55-70F between October and December sound much more reasonable, but still warm enough to provide that important tropical or exotic holiday feel. 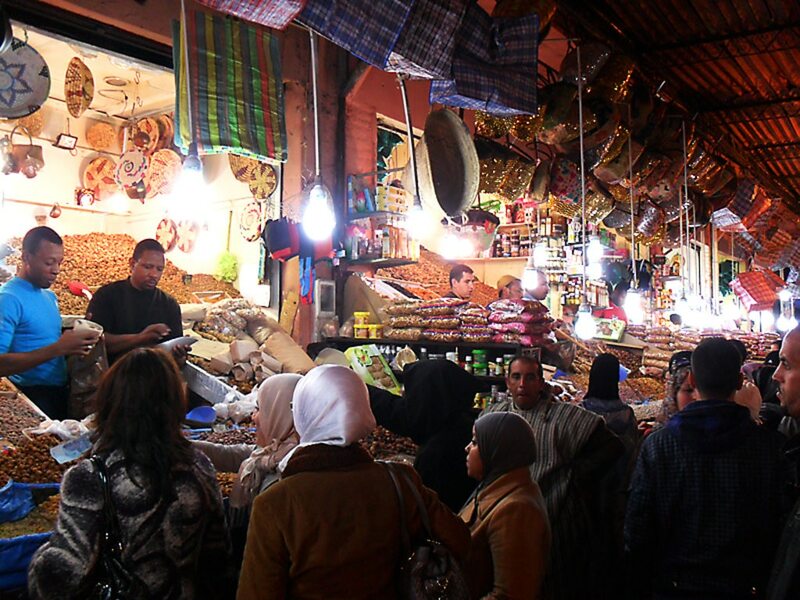 Upon my visit to Marrakech I very much liked that it was still warm enough during the day to warrant shorts and the consumption of ice cream, but cold enough of an evening to allow for snuggling under a duvet. Win win! The lower temperatures during winter months also mean fewer midges buzzing around and trying to nibble at your flesh whilst you sit down to your evening meal. Another win. Goddamn tourists, huh?! Always getting in the way of a good shot or acting in a manner that makes you feel guilty for being ever so slightly associated with them. Wouldn't it be great if they all just disappeared for a day? Oh hang on, there were no crowds in Marrakech upon my visit... well, very few at least. The tourist sightseeing buses were empty, the queues for ice cream were nonexistent, and meal times were spent enjoying the chatter and company of the locals. It's what people dream of right? An incredible destination all to themselves. Just a few reasons why Marrakech might just be the one for you, should you decide on a spot of winter sun this year ... or next. You really have no excuse not to.